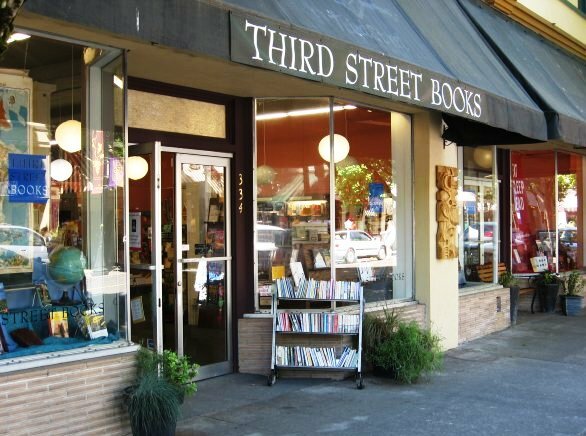 Congratulations to Third Street Books, McMinnville, Ore., which is celebrating its 15th anniversary this Saturday, February 5. The store will offer hot cider and donut holes all day; $1 raffle tickets for a bag of goodies (with proceeds going to the SMART program--Start Making A Reader Today); surprise swag bags for the first 50 customers of the day; 15% off on all new books; and a story time at 11 a.m. Owner Sylla McClellan wrote to customers: "Years ago my husband told me that I was basically unemployable. I've been self-employed for so long that I would make a lousy employee; too independent and not great at taking direction from others. But I think that skill-set has helped me carry on with Third Street Books, through thick and thin. "Do you remember the store 15 years ago? We were in a different space (now the McMinnville Antiques Mall). The walls were a frightening blue and the inventory was low and stale. My brother, husband and I worked for two weeks (through a crazy snow storm!) to make physical updates to the space, and try to create something new and exciting. We opened with a new computer system, a few more books and lots of dreams! "We've had some amazing times! Who was here for the Harry Potter Midnight Parties? Where a local County Commissioner came as Professor McGonagall! Did you get a chance to hear amazing Oregon author Brian Doyle during any of his visits to the store? We were featured in Sunset Magazine. We grew, and shrank and moved to our new location. We've always been proud to be part of such an amazing community--and we've benefited from your support. Remember the Cash Mob of 2012? When we moved into the new space, many of you came down and helped us schlep all the books--fire-brigade-style--from one space to the next! "Fifteen years has flown by. I see kids I knew when they were in kindergarten heading off to college. We've gained LOTS of new customers, as well as lost a few as people have moved away, or passed on. Our amazing staff has been here to help you find *just the right book* and I am always in awe and grateful for my crew of Real Professional Booksellers. Third Street is as vibrant as ever--and we are proud to be here for the long haul!"